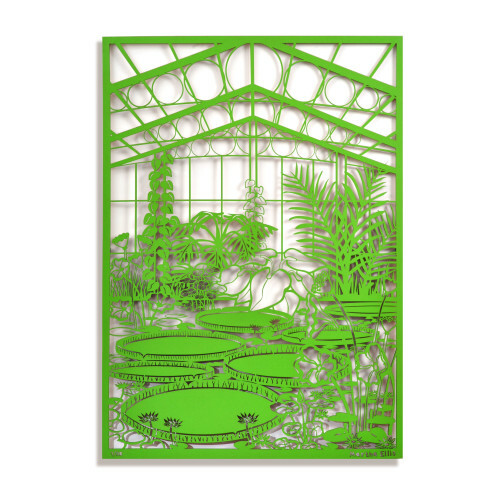 Martha Ellis is inspired by natural and urban landscapes, exploring positive and negative space, and the challenge of using laser technology to create cut out drawings. 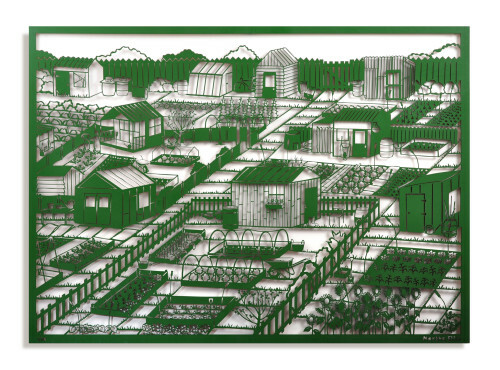 Ellis is greatly influenced by nature, particularly how it contrasts and compliments manmade forms and architecture. Having grown up in Marsden, West Yorkshire, her early works drew inspiration from the iconic Yorkshire Pennines - dry stone walls, woollen mills and terraced houses interwoven with fields, moorland, wild flowers and rivers. 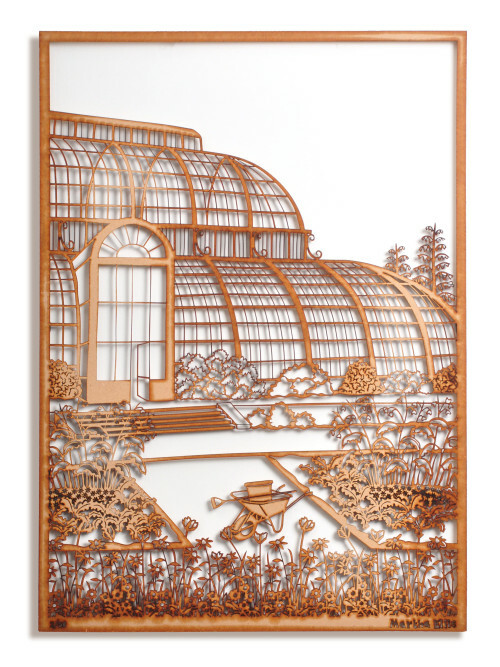 Her more recent work investigates the juxtaposition between constructed buildings and nature in her drawings based on her visits to Kew Gardens and the Royal Botanic Garden Edinburgh. An ever-growing fascination in reducing complex scenery down to more simplified lines and block colours has been inspired by the work of Julian Opie and Michael Craig-Martin. All Ellis’ pieces start with pencil and paper as she spends hours drawing from life in her sketchbook. She re-creates these line drawings on the computer, painstakingly adding detail until she is finally happy. 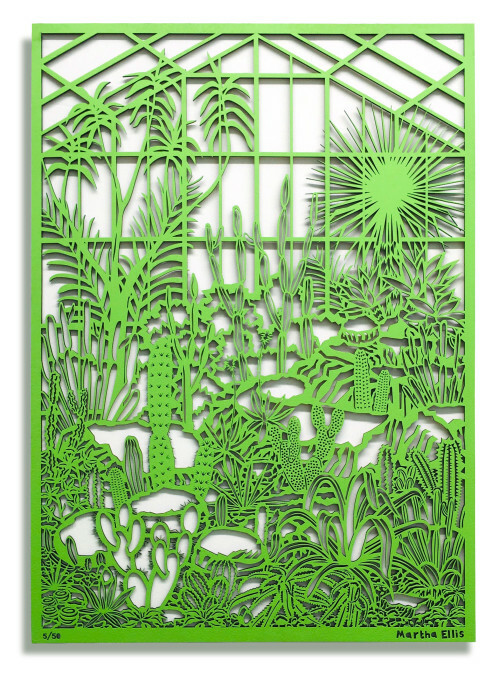 Using laser technology, Ellis then cuts out the drawing, creating eye catching and intriguing pieces. 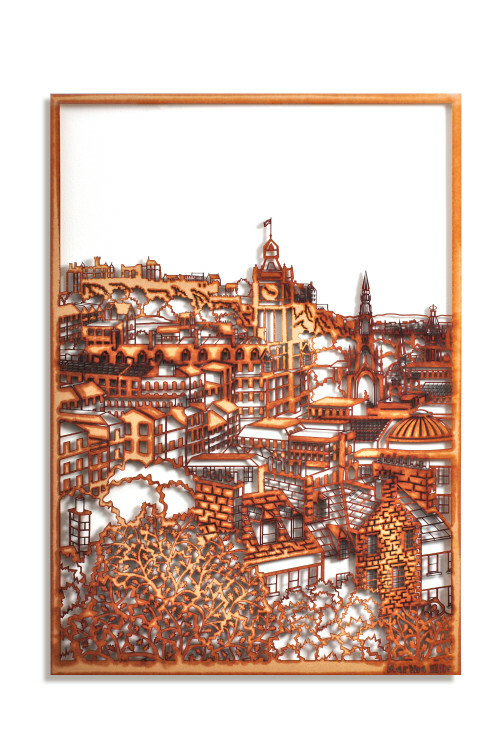 Her unique wooden laser cut drawings are hung directly onto the wall where they cast beautiful shadows which vary depending on strength of light, cloud or time of day, a deliberately interactive and living aspect to her art.